UK Guan Yin Buddhist Charity Foundation (Est 2016 Reg1165696) has come across a common aim working together with UK HART ( Reg1107341) led by Baroness Cox. It is a big achievement for both UK based charities to work together. 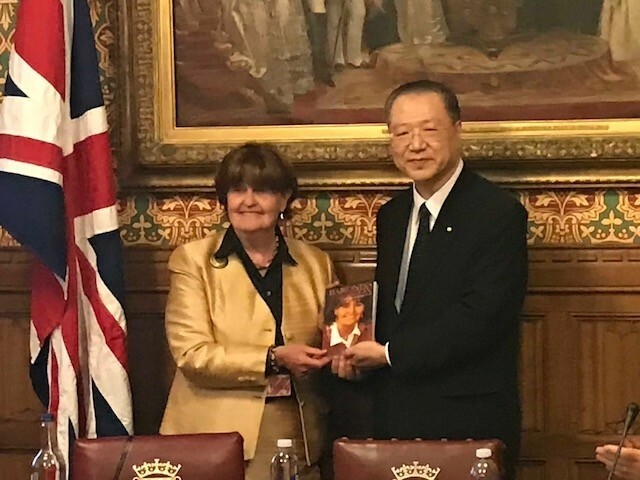 Master Jun Hong Lu- Patron of UK Guan Yin Buddhism Charity Foundation flew to London on 28th May 2018 to meet with Baroness Cox personally expressed his interest and support for these two charities’ join forces. Master Lu said it was a great opportunity to meet with Baroness Cox and the charity she represents, deeply touched by her delegation and determination to help people suffering from oppression, exploitation and persecution that are not served by major aid organisations. Master Lu said as a young charity, we are always thriving to go for extra miles to help our communities in every possible way. What Baroness Cox truly inspired us is her heart and kindness has no boundaries she will go wherever people need her the most. I hope this collaboration will take us away from our small but closer to the wider community. The rest of the trustees expressed their appreciation for Master Lu’s support and are very much looking forward to working with Baroness Cox again. Share This News With Others!